As many of you are aware, in late September there were many tornadoes that hit the Nations Capital. One of the more powerful storms touched near our store. There was a range of damage to our unit as well as neighbouring units. Many asked for photos so here they are showing the progress from wreckage to warmth.. The morning of September 22nd. Roofing material was scattered in the parking lot as well as through our windows and doors. We were not able to enter the store from the front door as there was too much debris, including lots of broken glass. Boarded up windows and door to keep the drafts out while we waited for the new windows to be custom made. Many thought we were not open. Crisp, clean, brand new windows. We are waiting for a new sign to be created but the old one is still close to the building so we can be found. The pylons at the road with the "190" as well as details of business names will not be up until spring. Taking into consideration all the events that transpired in late September, we feel very fortunate that the damages and losses that we have had were not greater. We thank everyone who stopped by, called or sent messages to see how we were doing. There are still a lot of people in need and if you would like to help out, please consider donating to one of the organizations listed below. We have a few classes this month, just in time to make unique gifts for people on your lists. We will be taking a short break in our course schedule for the holidays. Classes will resume at the end of January. If there is something that you would like to learn, please let us know and we will try to put it in the schedule. 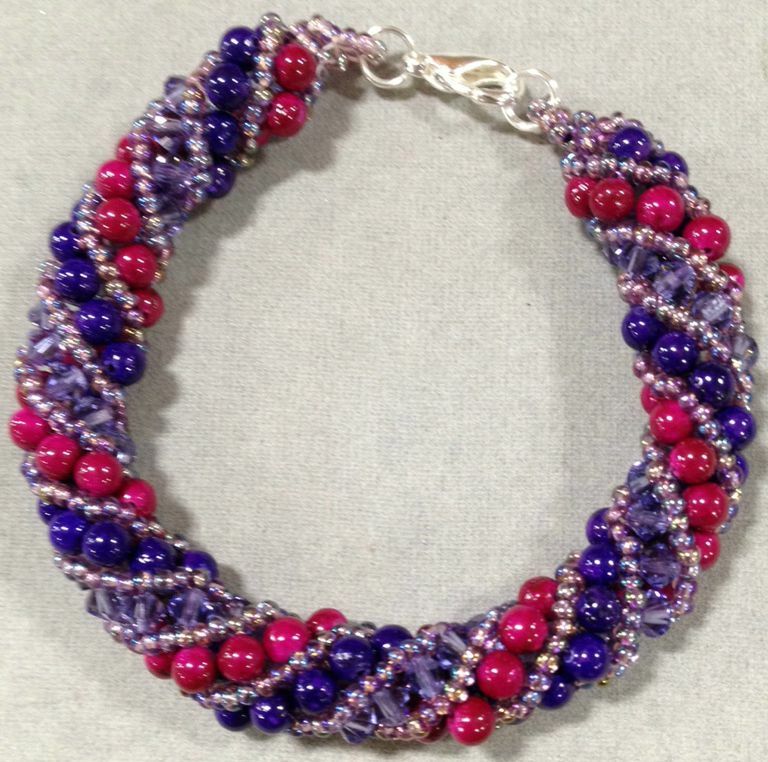 Spiral Rope Bracelet - Using Czech seed beads, create a spiral rope style bracelet. A great technique for necklaces and lariats as well. 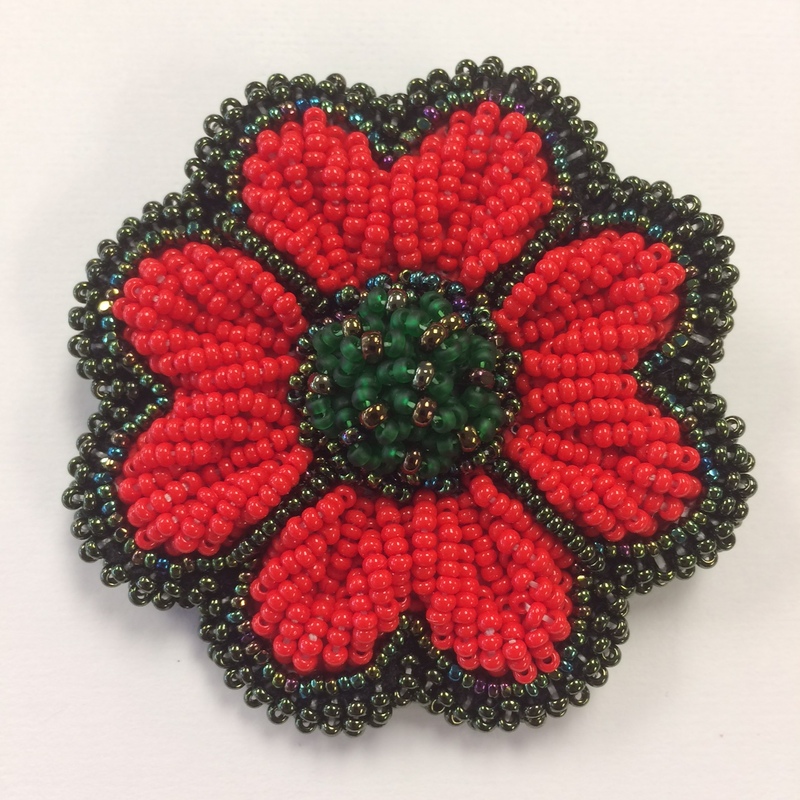 Introduction to Knotting - Learn the traditional technique of pearl knotting using silk thread, bead tips and gemstone beads. 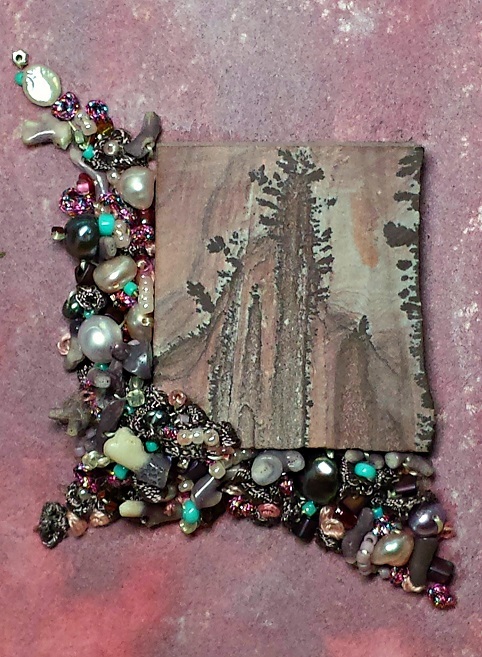 Knotting with French wire - Advance your knotting skills with this professional finish. 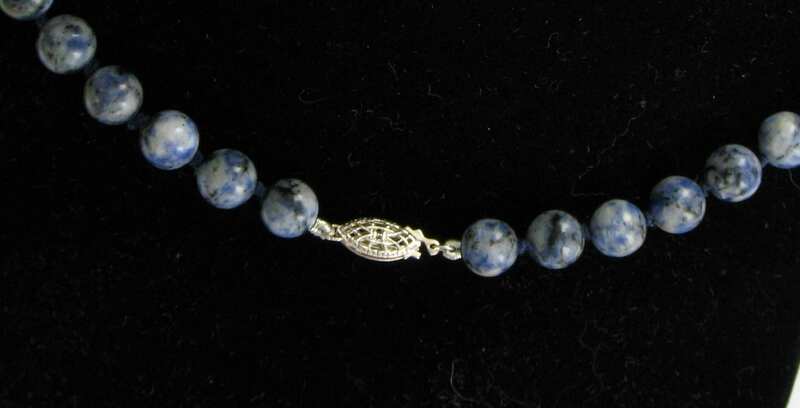 Gemstone beads, silk thread and French wire will be used. 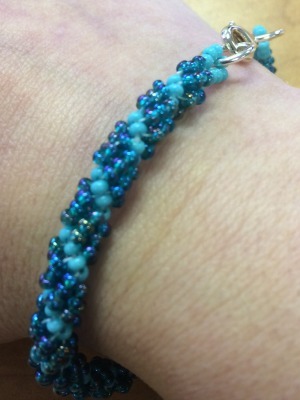 Russian Spiral Bracelet - Using 4mm gemstones, 4mm crystals and seed beads - create a beautiful spiral bracelet. A unique pattern, great for any occasion. Colours can be personalized for anyone on your list this year. Beaded Kumihimo - Learn the traditional Japanese braiding technique adding beads to create a beautiful bracelet. 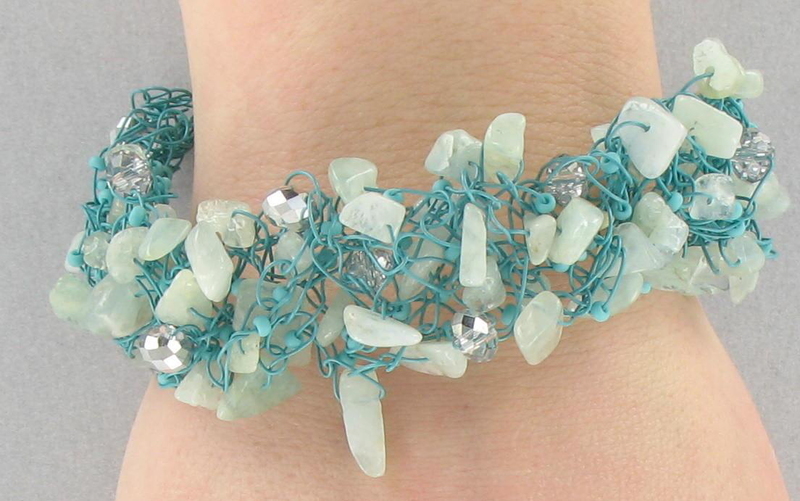 Wire Crochet - Using 26g Artistic Wire and an assortment of beads, create a chunky bracelet. 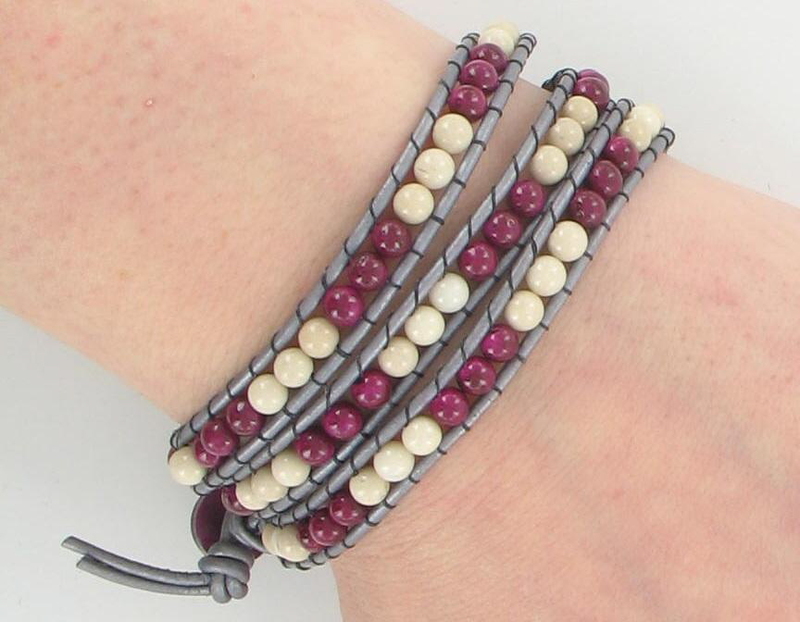 Wrap Leather Bracelet - Weave 4mm beads between leather to make a 2 wrap bracelet or necklace. Cost $125.00 – includes most supplies although you might want to supplement from your stash after the discussion on the first night. 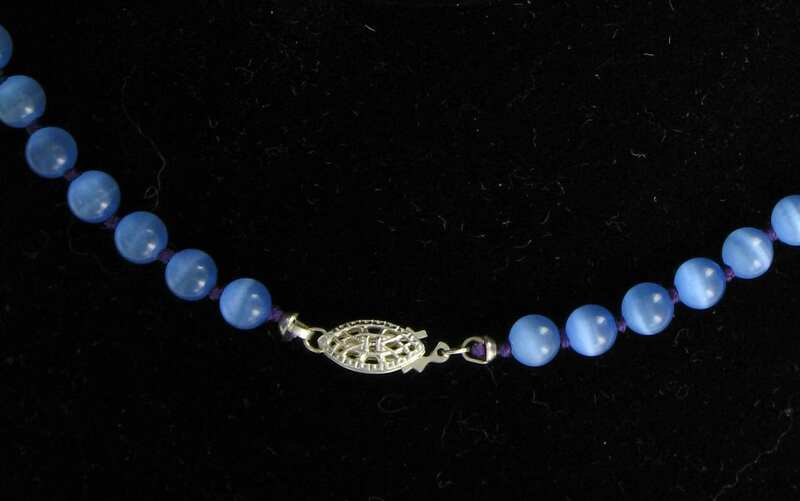 You might have a special bead, a sentimental piece of jewellery that is broken, a unique button, a cabochon, a shell. Bring them in and we will see how to incorporate them.